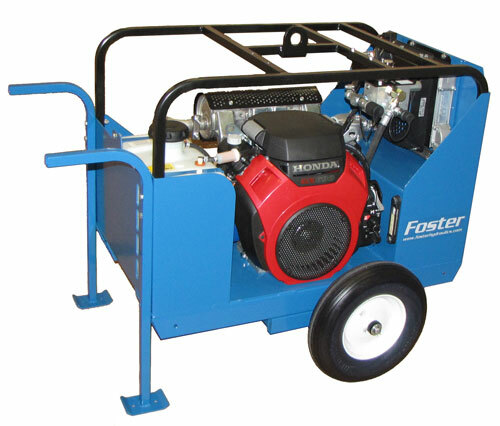 This Power Unit was designed to operate from 0 to 10 GPM to run various Hydraulic Tools. The pumps flow will be drained down as not needed in a pressure compensated mode. Actual flow can be shut off completely at which time the pump is unloaded through a pressure compensator element. 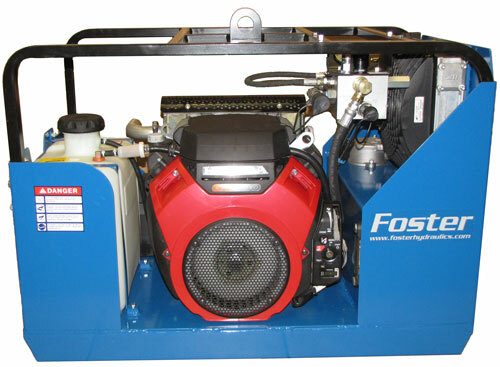 This feature allows a fixed displacement pump to meter out flow without causing excessive heat. Model PGCK-3000 Pressure Gauge Assembly.